Hey fellas! We have a fab BN Collection to Closet for you today. This is a special feature where we show appreciation for the African fashion industry, by shining a light on those who #BuyAfrican. Today’s feature goes to Denola Adepetun a.k.a Denola Grey rocking a print blazer by Adebayo Oke-Lawal of Orange Culture. The Orange Culture brand is one of the fastest growing menswear brands in Nigeria and Africa. With its beginning dating back to 2011 with it’s “Heartbroken Collection“, the brand has not only grown to be one of the favorites of celebrities and members of the fashion industry, but also a great Nigerian fashion export. 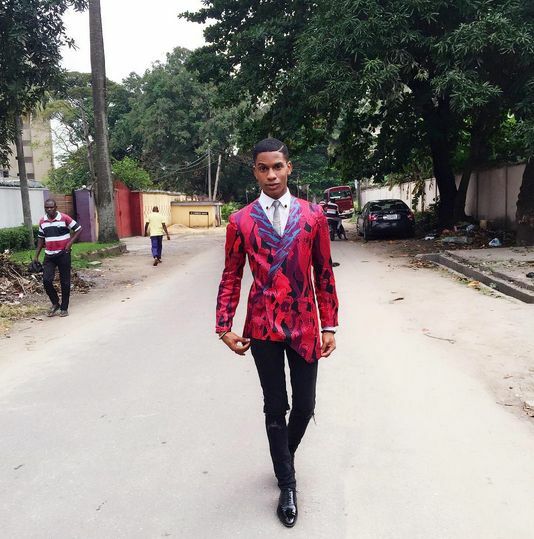 From showcasing at fashion weeks like the Ghana Fashion & Design Week in 2012 and the Lagos Fashion & Design Week from inception till date; the brand’s Creative Director, Adebayo Oke-Lawal, has also represented Nigeria abroad on platforms like the LVMH Young Fashion Designer Showcase in Paris, the Pitti W & Uomo Trade Show in Italy, Pitti Immagine’s “Constellation Africa” Showcase in Italy, the South African Menswear Week, and more. The brand seems to be unstoppable. 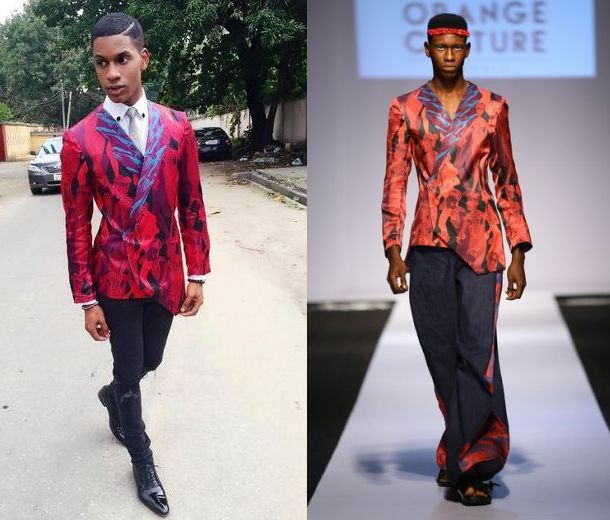 Showing his love for the brand, menswear enthusiast, Denola Grey, rocked a timeless piece from Orange Culture’s H.E.R collection for Spring/Summer 2015 (Originally showcased at the GTBank Lagos Fashion & Design Week for 2014). The piece is a silk print blazer with a single exaggerated lapel that adds an extra ‘umph’ to the basic silhouette. Denola paired this statement piece with a white shirt, grey tie, distressed black denim pants and patent black shoes. Hmmmmn, there’s nothing wrong with the normal suits men wear o, there’s a reason why it has remained unchanged for decades (because of things like this). 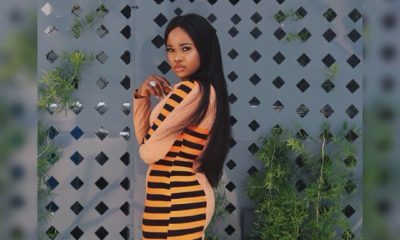 You cannot say the single breasted, double breasted, trench or penguin, three piece or two piece is no longer ok, you now have to make yours in Ankara and with a cut that mimics a 3 year Old’s art project…. I am not a fan. See how Orange couture made the model look trashy with the way he styled it. Denola wore it beta than the model. This is actually the first time I am loving an Orange couture piece, maybe bcos of the way denola pulled it off. Orange Culture generally has many wearable individual pieces actually. But the way they’re styled in the campaigns and lookbooks and runway shows makes them look off-putting. ***Abi the computer keyboard get Autocorrect? I do not think orange culture styling is off putting – rather i think it is creative which is why he is showing in places alot of people aren’t . 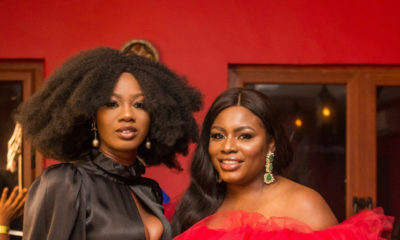 I think nigerian consumers are sometimes too narrow minded – runway is different – you can wear the pieces individually – it does not have to be a replica of what you see on the runway – as per denola grey. Nigerians too hard on their own.